Online Businesses, E-commerce businesses, Internet Companies, whatever you may call them have become a force to reckon with as far as small businesses are concerned. Working capital is a very relevant term for any business. However, as far as online businesses are concerned, extra working capital is always something that they need to work on. These businesses face a lot of pressure from others in the same field, from higher expectations from their own customers, or advancing technology that forces them to adopt newer techniques. So, basically, their working expenses vary from purchasing new machines, repair or replacement of existing assets, expanding the scale of business, the introduction of new products or services. Inventory: Stocking and buying of inventory are critical to the success of any internet company. A small delay or mistakes in sending products or services to customers will affect the goodwill and success of the company. Inventory keeping requires cash, hence the need for understanding and using assorted options. Technology: Assuming your business is an E-commerce site, technology will be a critical link to your business. Understanding the technology in your industry, making the required changes to existing set-up or investing in innovative technology where required intensifies the need for quick cash. You do not want to be left behind when your competitors are surging ahead. Marketing: With recent advances, marketing has changed immensely. Customers are targeted based on a deeper understanding of their needs. Marketing online is whole other ballgame and you must invest in this area to support and boost your growing company. -Generally, this takes so much time that the purpose is lost by then. Therefore, you must explore alternate forms of credit to suit your needs. -Another deterrent from approaching banks is that those that have Poor credit, Insufficient balances in their account almost never get approved for a loan. - In many cases, before you repay the first loan, your business requires further cash and banks will never approve 2nd, 3rd, 4th or 5th positions. There are many alternate forms of credit where current loans may be purchased back and further positions created. Merchant Cash Advance: Business Cash advance is money that is paid upfront as an advance to businesses that require quick cash as working capital. This money is repaid through future income through credit card receipts. To get this loan, businesses need to show proof of sales through credit card, hence the name credit card factoring. 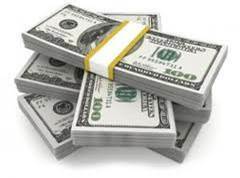 There is a factor rate involved which is used to calculate the cost of such an advance. However, the advantage is that you can repay depending on the credit card sales- low or high. Online businesses need quick influxes of money and sometimes steadily. If you are unable to get a revolving credit worked out with a bank, you can use this options as 1st, 2nd, 3rd, 4th and 5th positions are also available for this kind of an advance. It is more like an unsecured business loan without the lengthy terms and paperwork. Purchase order Advance: Business Funding is an ever-evolving subject, with many options available. It is important to find alternate funding solutions for any business and not restrict themselves to bank loans alone. Purchase order Funding is another unique way to source quick money without the hassles of dealing with the bank and the paperwork. How this works is that based on the purchase orders you have secured for your product or service; an amount is approved. It is easy to qualify, and sometimes you can even qualify for a 100% funding. Crowdfunding: Crowdfunding has become popular with the onset of the internet and social media. The amount of money needed is sourced through people contributing towards your cause, project or a problem. Typically, where there is a risk involved, banks do not want to risk giving you a loan or they will provide you the sum at a much higher rate of interest. So, the costs will increase substantially. The number of options for funding for a business will depend upon the amount and the term- short-term or long-term. The biggest deterrent for bank loans are the terms and conditions that go along with any loan. Especially so, when they are collateral loans or commercial loans. The procedures and the precautions the banks take are lengthy. The banks have always been our one source of funding- be it secured or unsecured loans. However, with changing times, there are so many options to get cash without having to wait or go through the lengthy procedures. Your business can really benefit from using all the options.